Customs Broker - Import - Export: What are Customs Bonds? Only import shipments valued over $2,500 are required to obtain a customs bond. The bond is a guarantee to CPB to guarantee payment on any duty, fees and penalties levied by the Customs Service. In the case that an importer does not honor their obligation to Customs, a demand is made for payment to the bond company, then the bond company pursues the principal on the bond. With this statutory requirement on all imports, it eliminates the need for the Federal Government to ever collect money. The money is paid by the Surety that issued the bond, and Customs never has to enter the issues of bad debt collection. There are two types of Import Custom Bonds that can be purchased from through your customs broker. A Single Transaction Bond, as the name indicates is written to cover a single shipment. The bond premium is determined by adding the value plus the duty and fees, and the premium is paid on that amount. In the event of regulation by Other Regulatory Agencies (ORA), the bond amount is triple the value plus duty/fees. This type of bond is less secure for the Customs Service, so electronic entries, and electronic release are not authorized with this bond. A Continuous Bond, is the second type, and is put in place before an importers importation and can be used for multiple import shipments, in all ports of the United States The bond is the property of the importer and can be used with multiple brokers. It allows for greater security for Customs, so electronic entry is allowed for importers possessing a Continuous Bond. An annual premium is paid for the Surety to insure this risk to the Customs Service. As this bond is based on annual; duty alone (Not the value of the goods), the minimum bond of $50,000.00 is sufficient for most new importers. If you import freight regularly, a continuous bond will be the best choice. Talk to Service Shipping Inc to determine which bond is best for you. Other Customs bonds exist for special purposes. Freight can be transported within the U.S. for inland clearance by bonded transportation companies. These carrier bonds are convenient for importers, as it allows flexibility and inland movement for your cargo. Want to store your goods before it has cleared? Defer the duty until cargo is needed? Bonded Warehouses have warehouse bonds to allow your goods to be in the USA, and not incur the duty obligation due. 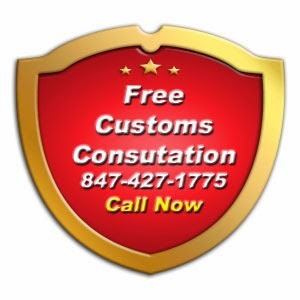 Other special bonds, such as Importer Security Filing, Temporary Import and others are available for special situations, and again Service Shipping can guide you through the world of Customs Bonds.